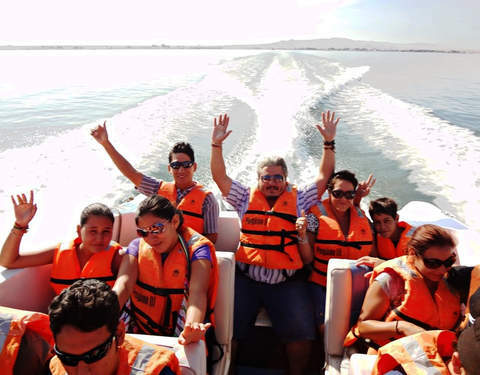 Escape the chaos of the city and spend 2 unforgettable days enjoying the charms of Ica and Paracas. 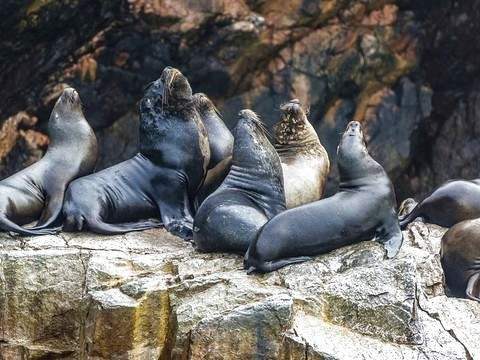 You will be able to observe closely the marine fauna that inhabit the Ballestas Islands such as pelicans, seagulls, tendrils, boobies, Humboldt penguins, etc. 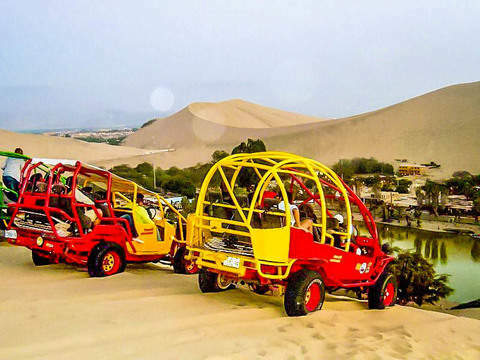 Visit the Huacachina lagoon, also known as "The Oasis of America", where you can experience the dunes at high speed and also slide in the sand on the sandboard. Ica: Reception in Terrestrial Terminal. 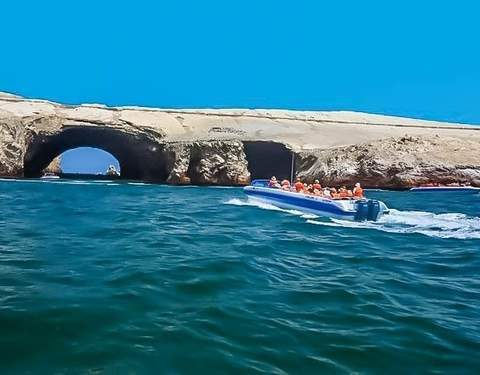 6:30 am Departure in the direction of Paracas to enjoy a beautiful landscape in the port of Chaco, then board our slipper and take the famous Ballestas Islands. 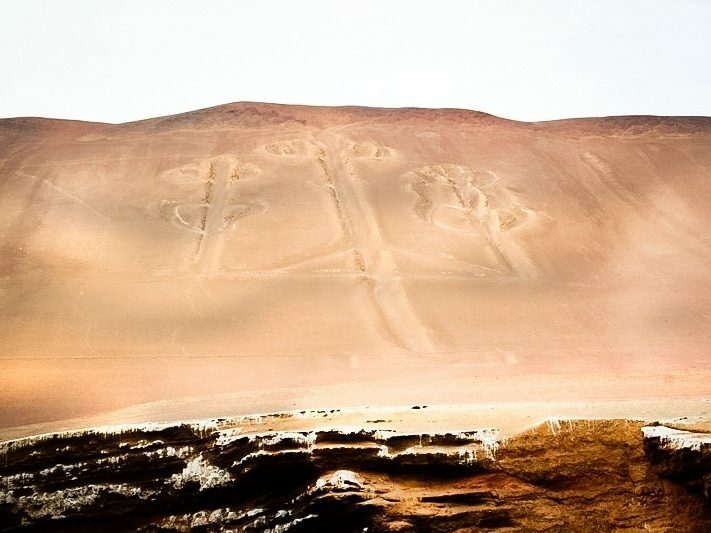 First we will observe El Candelabro de Paracas, it is a famous geoglyph, located on the north coast of the Paracas peninsula. 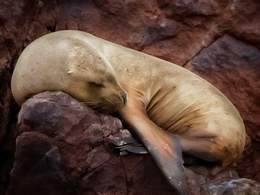 Following our route we go to the Ballestas Islands where we can appreciate and enjoy nature observing rock formations. 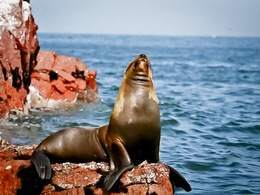 We will also observe marine fauna who inhabit the Ballestas Islands as pelicans, seagulls, tendrils, boobies, Humboldt penguins, etc. called guano birds. Within our marine fauna we will also observe the maternity of wolves who are waking up to throw themselves into the sea in order to look for their food, we will also observe the sea shells giving their babies their milk. 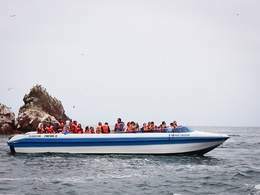 We will have a specific time of 2 hours visiting and touring the Ballestas Islands in our slider, by sea. 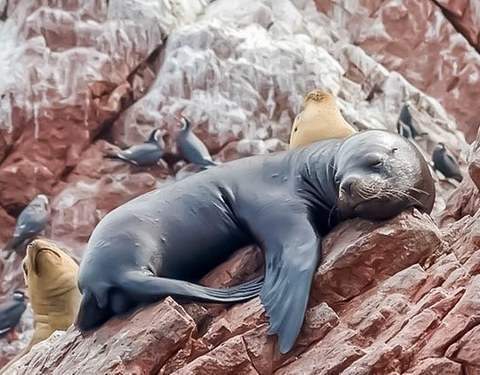 Culminating our circuit of the Ballestas Islands We will have another determined time to visit and tour the Port of Chaco Paracas. We will find souvenirs and souvenirs of the place. 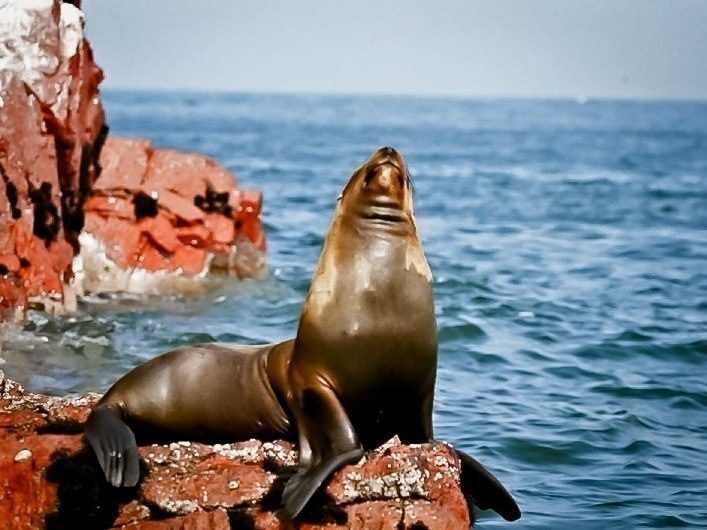 Continuing with our circuit we will make our Tour by land we will visit the National Reserve of Paracas. 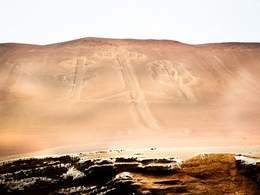 We will visit the Interpretation Room of the Paracas National Reserve. 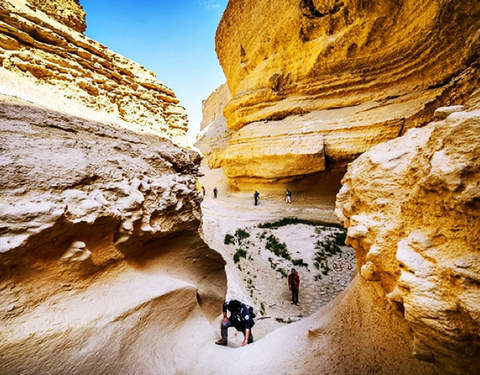 Continuing our journey we will go to a very famous rock formation called and known as "The Cathedral". Continuing we will continue to make our circuit of beaches and make our walk crossing our first point called the Supay beach or also known as the "Playa del Diablo" because of its black sands and the movement of the tide that gives a speculative figure that to simple sight causes some "fear." Lagunilla Beach In this last beach we will have a time of hours to have lunch and enjoy the beach. Return to Ica, transfer to the hotel. 10:30 am We will approach our mobility to start our circuit of the Ica City Tour to see our first point in the Main Square of Ica where the guide will explain everything about us. We will also observe the Marquez de Torre Hermoso mansion or also known as "La Casa de Bolívar" and La Catedral, a rather old church dating back to the 16th century. Continuing we go to the Sanctuary of Lúren post earthquake dating from the eighteenth century where we can observe the five large portals which facilitated the escape of people at the time of the earthquake and we will go to the provisional chapel to greet the patron saint of Ica. Then follow our circuit and visit the small town called Cachiche, where many years after the witches lived. cachiche is in the Quechua voice Alpa - Cachani which translated into Spanish means salt land, since in that place the vast majority of people practice witchcraft and it is said that the earth is weighed by those places. In the town of Cachiche we will visit a great unique attraction worldwide: La Palmera de 7 Cabezas, a rather curious tree where from one stem came 7 more ramifications. 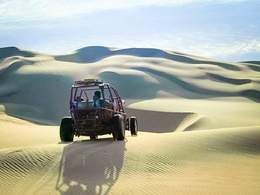 Then, 4 km south, we will take the Pan-American Highway to visit a place that is very visited by national and foreign tourists: La Laguna Huacachina, also known as "The Oasis of America", a lagoon located 15 minutes away from downtown. 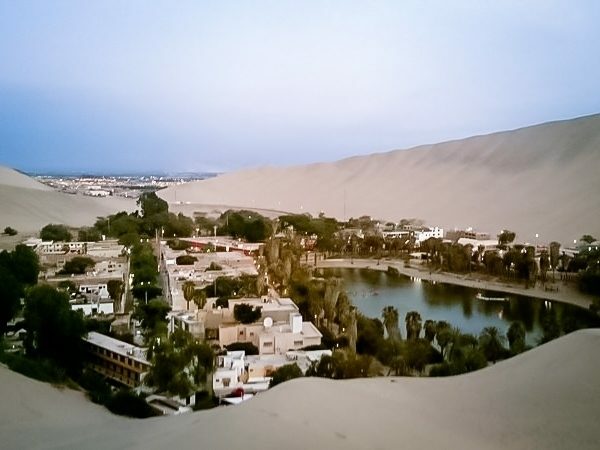 the city of Ica, in the middle of the desert with dunes with sizes no less than 500 meters where we can appreciate the flora and fauna of the place. 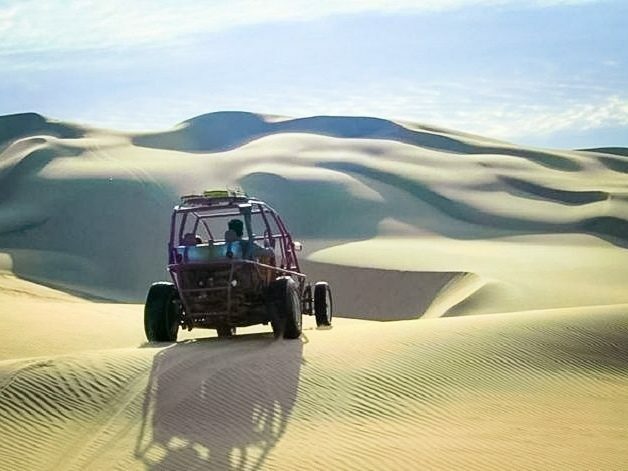 After appreciating this great wonder we will continue with a great adventure where the adrenaline and excitement will come first, we will make the Adventure Tour the famous Sandboard & Sandbuggies (sand dinghies and semi professional sliding boards) to go to the desert and start our adventure taking a similarity to a roller coaster, where you will go down and climb the dunes with great pressure. 2:30 pm - Lunch, on a balcony overlooking the Huacachina lagoon. Then we will have a set time in a pool until 4:45 p.m. and then board the sandpit car at 5 p.m. to appreciate the sunset sunset in the ica desert. After this great adventure we will go to visit one of the best craft wineries: "El Catador", where the guide will take us to know the facilities and explain how is the process of making both the piscos, wines and different liqueurs They elaborate on the basis of the fruit of the grape and reach a point to begin the tasting of all the wines and pisco that the guide previously explained to us. Return to the city of Ica. Transfer to the hotel - Free afternoon. Official tourism guides in Spanish. Tourist Mobility Ica - Paracas - Ica. 1 night of Lodging in Ica. >> 1st day - Lunch at the Lagunilla Paracas spa overlooking the sea on the shores of the spa, seafood dish (breakfast is not included because they will board the boats for the Ballestas Islands to prevent dizziness). 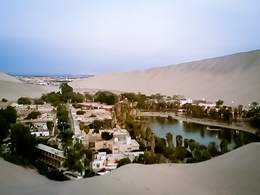 >> 2nd day - Continental breakfast, Lunch in Huacachina. 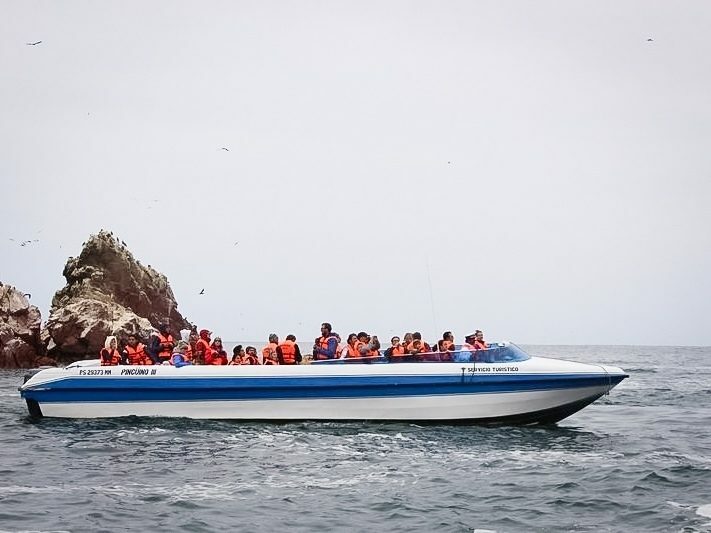 Sliders (boats) + Life vests for Islas Ballestas Tour. 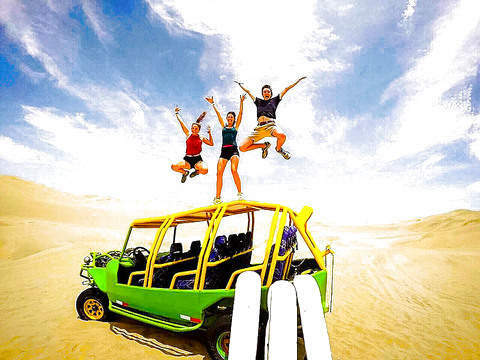 Tubular trolleys + Sandboarding (Adventure Tour). Transportation from the city of origin to Ica and vice versa. Admission tickets to all tourist points to visit. These hotels offer rooms with cable TV and private bathroom. Some even have a view of the city. They have a 24-hour reception. Accommodation is always subject to the availability of rooms for the date of your trip. Otherwise, you will be lodged in a similar category and service.